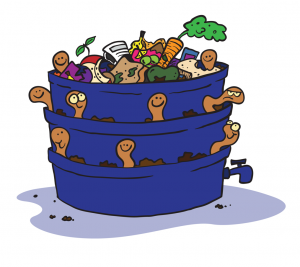 Tell us what you think about our new ‘Why waste it?’ waste and recycling education campaign, by filling in the survey below, for your chance to WIN. Entrants must either live or work in Adelaide Hills, Burnside, Campbelltown, Mitcham, Norwood Payneham and St Peters or Walkerville Council areas. Competition closes 20th May 2017. Entrants will be notified by email or phone. 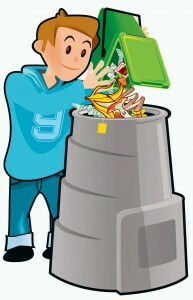 Did you know that you can now look up common household items and how to recycle them on the whichbin.com.au website? CLICK HERE to check it out. There are also a number of great FREE resources you can download. Have you seen the East Waste’s new truck signage? If so, do you recall the message displayed? What does it say? Do you like the new campaign message and signage? What was your initial response, what did it make you think about? Have you checked out the whichbin.com.au website? If so, what did you like the most or find most useful? How do you avoid, reduce, recycle and compost waste at home or at work?